In 2011, Ishinomaki, Japan and the surrounding region were devastated by the great tsunami, with nearly 46% of the city destroyed. Cities destroyed in a disaster often suffer neglect and an impeded recovery due to loss of political and social will once the initial emergency is over. In Ishinomaki, the pace of recovery made semi-permanent communities out of housing that was designed to be temporary. Further, many younger residents decided not to stay. They moved inland or to larger cities. This left Ishinomaki with an aging population and a dearth of working-age residents. Ishinomaki Machino Hondana, a private community library managed by 2.0 and a staff of local volunteers. RORI Ishinomaki under construction for Renwal. 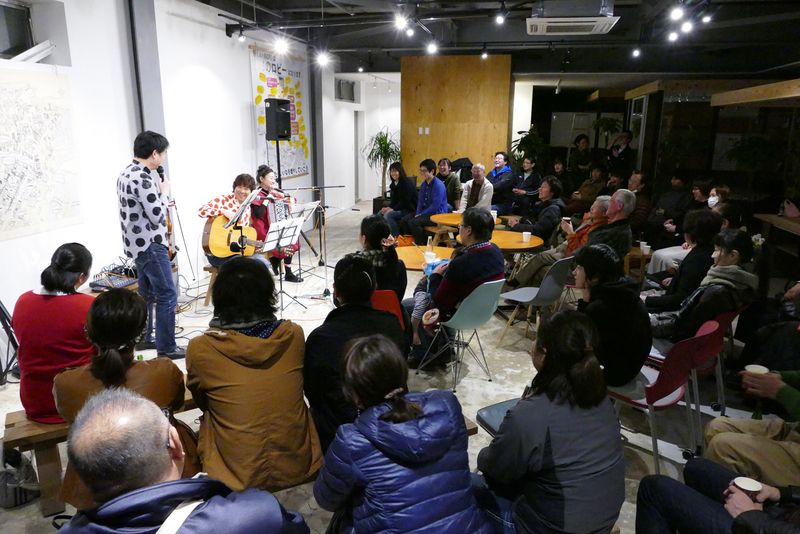 IRORI can be used for a variety of functions, for example, live music. 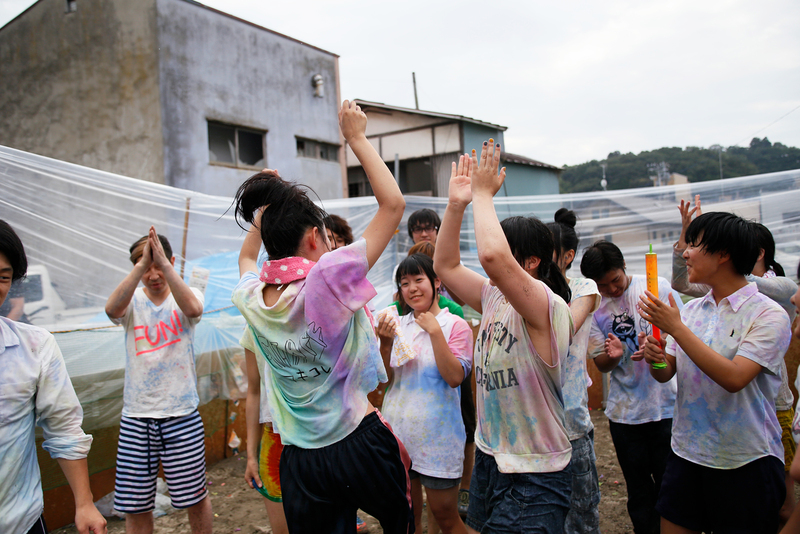 Ishinomaki Color Fight, organized by local high school students. Fukko Bar—DIY (Do it Yourself), opened in July 2011. We make information visible to share and engage our community. The founders of Ishinomaki 2.0 came together with a profound yet simple goal: rebuild Ishinomaki into the ‘most interesting city in the world’ by bringing together a collective of local shop owners, non-profit workers, architects, city planning researchers, creative producers, web directors and university students. 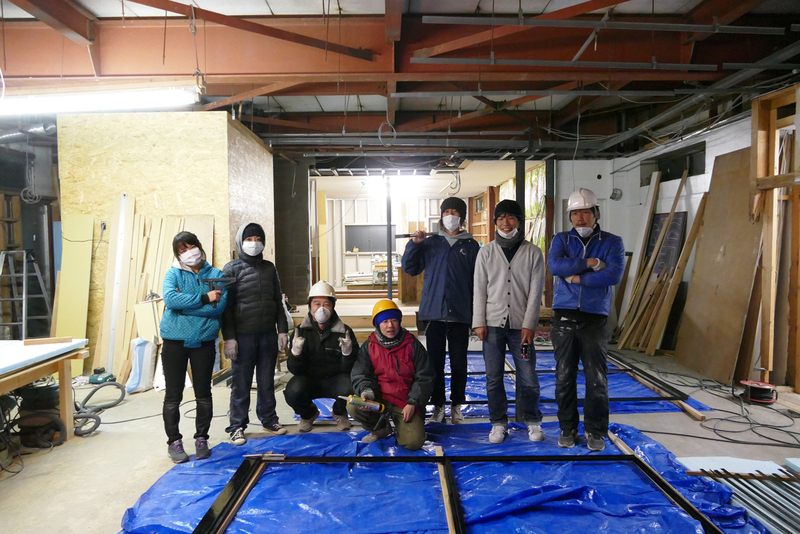 Ishinomaki 2.0 has engaged in a wide variety of projects since its founding. These projects bring vibrancy and creativity to the city while also meeting the needs of existing and temporary residents. For example, Ishiomaki Chuo (the old central town area) was suffering from recession even before the earthquake–the street was nicknamed “Shutter Street” because so many shops were shuttered. After the tsunami debris and sludge was removed, what was left was vacant space with no buildings and empty shops. 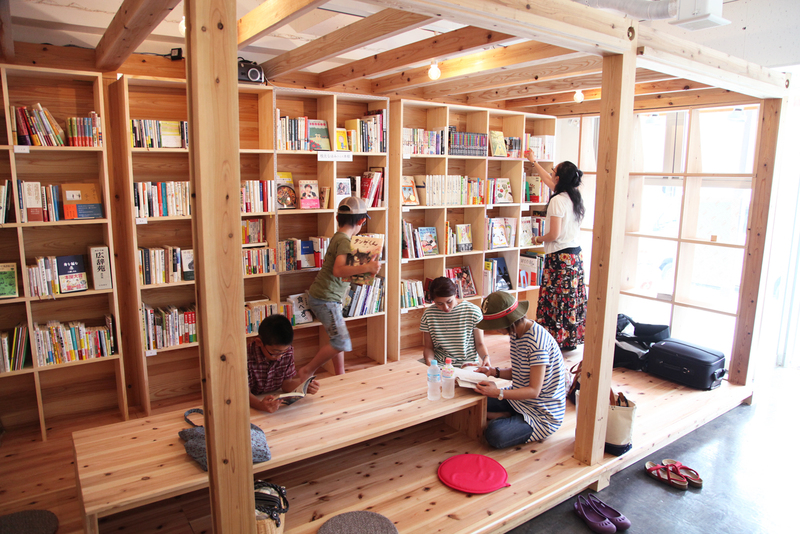 Ishinomaki 2.0 spearheaded a movement to reuse the vacant properties, converting garages into an open shared office, creating facilities for visitors to the town to stay economically and creating a small, DIY style bar. 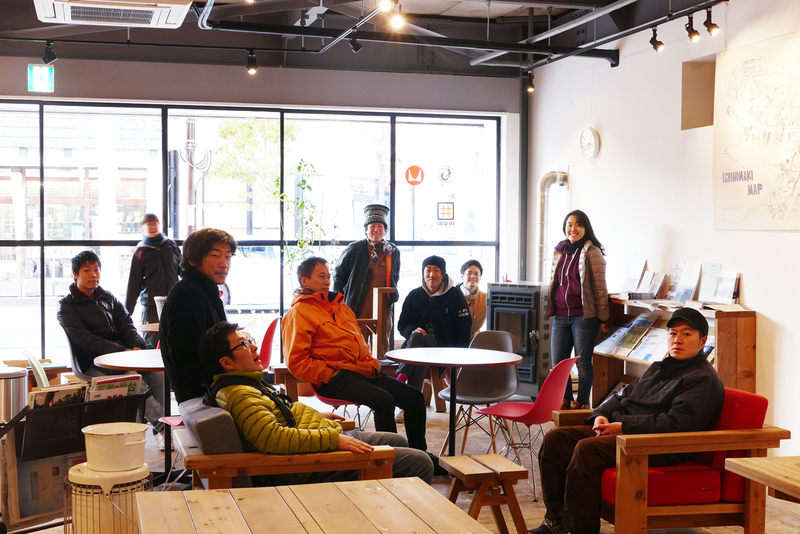 Other projects include Irori Ishinomaki, a business café that provides a gathering space for micro-entrepreneurs and those involved in the reconstruction. It features free wi-fi and complimentary refills on coffee all day! Ishinomaki Voice is a free magazine written in the voice of local residents. It comments on both the history and culture of Ishinomaki, as well as the future Ishinomaki residents envision. The magazine is circulated nationally, introducing Ishinomaki to the Japanese people and generating interest in the new vision for the city. These projects, along with many others, represent a forward-thinking approach to disaster – one that doesn’t limit its aspirations to rebuilding, but asks how disaster can be a catalyst for a completely new vision.